Arguably one of the nation’s fastest rising starts, Louisville native Brad Cox is two wins away from a major professional milestone: 1,000 career victories. 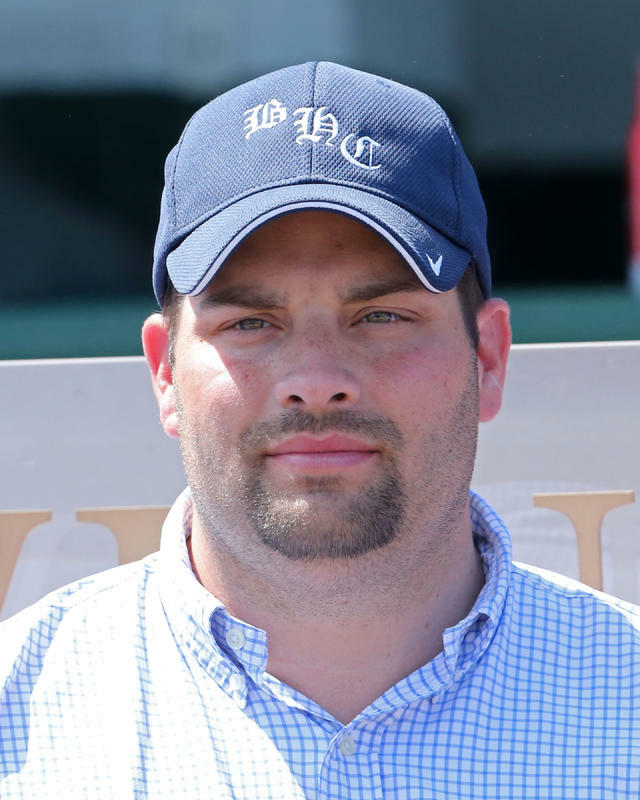 Cox, 38, is not far removed from his time as an assistant to trainer Dallas Stewart and has quickly soared to the top of the leading trainers in the nation by recording 671 wins in less than four years, nearly 70 percent of his career win total. Cox grew up less than two miles from the Churchill Downs backstretch and graduated from Iroquois High School. It didn’t take long for the lifelong Kentucky Wildcats fan to have his sights set on becoming a top trainer. Cox began his career as a hot walker and soon elevated to Stewart’s assistant before starting his own stable in 2004. One of the early successes in Cox’s career was when he teamed with claiming conglomerate Midwest Thoroughbreds as their private trainer. However, this path took Cox down several speed bumps to begin his career. Cox has a 27-percent win rate in 2018 with 218 victories, the highest mark in his 15-year career. One of the horses that vaulted Cox to one of the top trainers in the nation is Longines Kentucky Oaks (GI) and Breeders’ Cup Distaff (GI) winner Monomoy Girl. Cox will have to wait until at least Saturday to win his 1,000th race with only one entrant on Friday at Fair Grounds but has six horses entered Saturday across Aqueduct, Fair Grounds and Churchill Downs. The $200,000 Falls City Handicap (Grade II) for fillies and mares at 1 1/8 miles: Dutch Parrot (trainer Will VanMeter); Honor Ride (Grant Forster); Mannerly (Brendan Walsh); Red Dane (Charlie LoPresti); and Skeptic (Rusty Arnold II). The $100,000 Cardinal Handicap (Grade III) for fillies and mares at 1 1/8 miles on turf: Amboseli (James Cassidy); Bonnie Arch (Ian Wilkes); Coachwhip (Jack Sisterson); Coco Channel (Charlie LoPresti); English Affair (Rusty Arnold II); Lipstick City (David Fawkes); Tricky Escape (Lynn Ashby); and Unbridled Escape (Kelly Lynn Deiter). The $500,000 Clark Handicap Presented by Norton Healthcare (Grade I) for 3-year-olds and up at 1 1/8 miles: Believe in Royalty (Larry Jones); Bravazo (D. Wayne Lukas); Hawaakom (Wes Hawley); Hence (Steve Asmussen); Leofric (Brad Cox); Seeking the Soul (Dallas Stewart); Sightforsoreeyes (Anthony Quartarolo); and Storm Advisory (Quartarolo). The $200,000 Mrs. Revere (Grade II) for 3-year-old fillies at 1 1/16 miles on turf: Angel of Mischief (Norm Casse); Cool Beans (Brad Cox); Dark Artist (Jane Cibelli); Get Explicit (Barbara Minshall); High Tech (Ian Wilkes); Kabella (Danny Peitz); Over Thinking (Vicki Oliver); and Stella Di Camelot (Chad Brown). The $200,000 Kentucky Jockey Club (Grade II) for 2-year-olds at 1 1/16 miles: Blue Steel (Dale Romans); Current (Todd Pletcher); Dunph (Mike Maker); Kentucky Allstar (Maker); King for a Day (Todd Pletcher); Manny Wah (Wayne Catalano); Mick’s Star (Tom Amoss); Plus Que Parfait (Brendan Walsh); Roiland (Amoss); Royal Urn (Michelle Nihei); Signalman (Kenny McPeek) and Synthesis (Keith Desormeaux). The $200,000 Golden Rod (Grade II) for 2-year-old fillies at 1 1/16 miles: Champagne Anyone (Ian Wilkes); Gold Credit (Ignacio Correas); High Regard (Vicki Oliver); Liora (Wayne Catalano); Meadow Dance (Brad Cox); Princess Causeway (Wilkes); Reflect (Keith Desormeaux); and Restless Rider (Kenny McPeek). JOHN ASHER WINS BIG SPORT OF TURFDOM AWARD – The Turf Publicists of America (TPA) announced Friday that the 2018 Big Sport of Turfdom award, which recognizes a person or group of people who enhance coverage of Thoroughbred racing through cooperation with media and racing publicists, will be presented posthumously to John Asher, the late vice president of Racing Communications at Churchill Downs and former president of the TPA (2000). The Big Sport of Turfdom will be presented to John’s wife, Dee, at the University of Arizona Race Track Industry Program’s annual awards luncheon on Tuesday, Dec. 4, emceed by Santa Anita Park track announcer Michael Wrona. The luncheon is part of the 2018 Symposium on Racing & Gaming at Loews Ventana Canyon Resort in Tucson, Ariz.
Asher, the irreplaceable ambassador for Churchill Downs and his beloved city of Louisville, passed away Aug. 27 at the age of 62. DOWN THE STRETCH – Racing continued Friday with a first post of 1 p.m. (all times Eastern). There is a massive $156,269 carryover in the 20-cent Single 6 Jackpot which gets underway in Race 5 at 3:03 p.m. … The season finale of “Inside Churchill Downs” airs Friday at 6 p.m. on ESPN 680/105.7 and features trainer Dallas Stewart. Listen live at www.espnlouisville.com. … Trainer Ignacio Correas reported Breeders’ Cup Distaff fourth-place finisher Blue Prize is getting a rest for the remainder of 2018 but will resurface in the winter for her 6-year-old campaign. … Trainer Ben Colebrook informed that Breeders’ Futurity (GI) winner and Breeders’ Cup Juvenile (GI) runner-up Knicks Go could run next in the seven furlong Marylander on Dec. 4 at Laurel Park but his plans are still in flux.